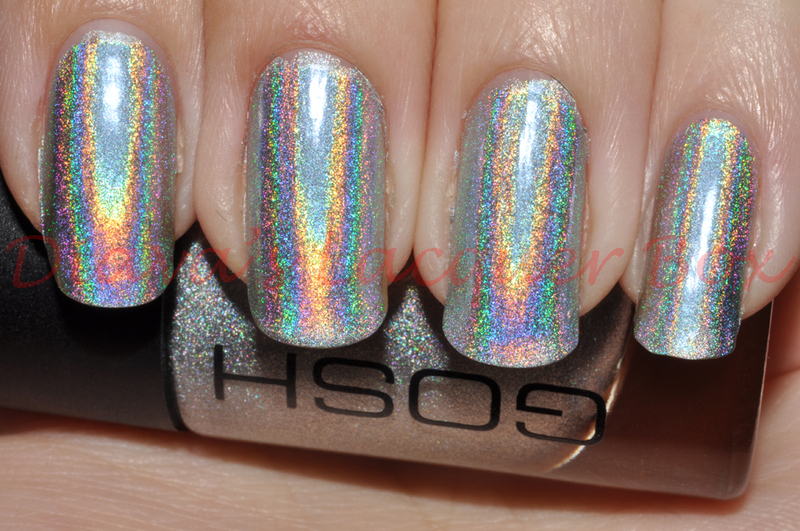 Unfortunately I don't have the GOSH special base coat, but I did pick up the Make Up Store Aqua base and that works very well as a base for holographic polish (I've also heard that using any matte top coat as a base for holographic polish works well). 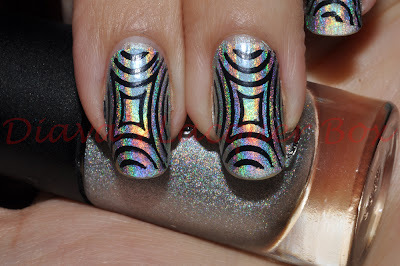 The main plus in using one of these bases is the fact that it really helps application of the polish, without it, its a little bit of a nightmare to apply! 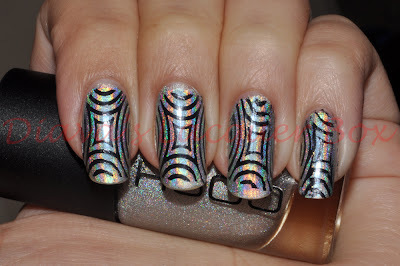 Here's a bit of Konading to jazz it up, I really love how the matte black konad design looks over holographic polish, please excuse the abomination which is my pinkie finger, I messed up a little and was too lazy to remove and redo, bad me! 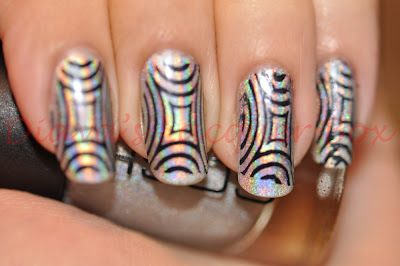 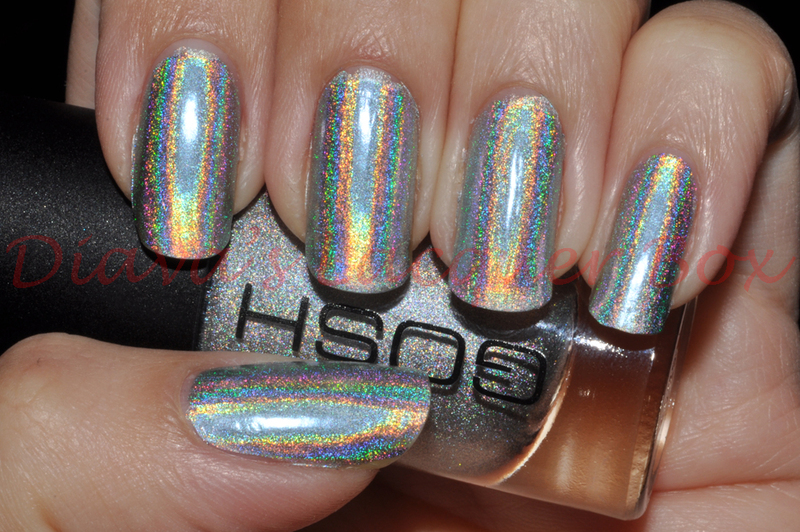 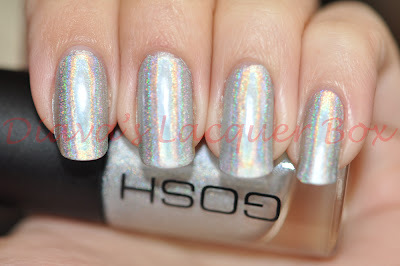 I want a holo polish bad!